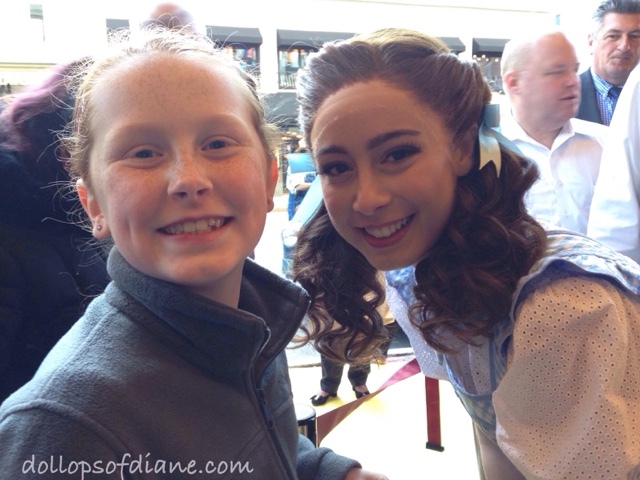 Dollops of Diane: The Wizard of Oz: Review and Discount Code! Last night, Isabelle and I, along with our friend Laurie, attended opening night of The Wizard of Oz at the Citi Wang Theatre in Boston. We arrived early to be a part of the opening night festivities which included Dorothy and Toto arriving in an antique pick up truck for a yellow brick road (like a red carpet!) arrival. 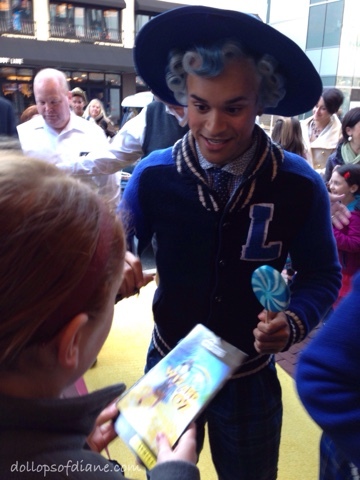 The Lollipop Guild greeted Dorothy and they talked with fans and signed autographs. 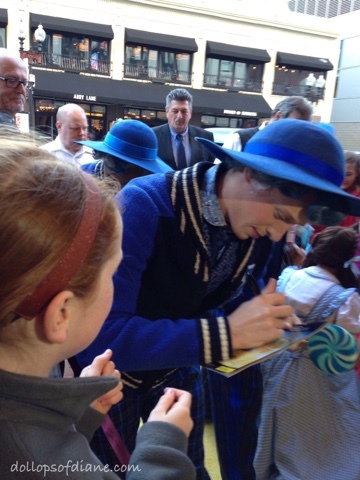 Isabelle was SO excited to meet them and have them sign her playbill. She was beaming from ear to ear. The arrival was just the start of the fun though because then it was on to the performance. The show was AWESOME! I've had the pleasure of attending quite a few live performances over the past few years and this one really stood out for me. It was a rather small cast (full of all the beloved characters that you remember) and they did an amazing job. 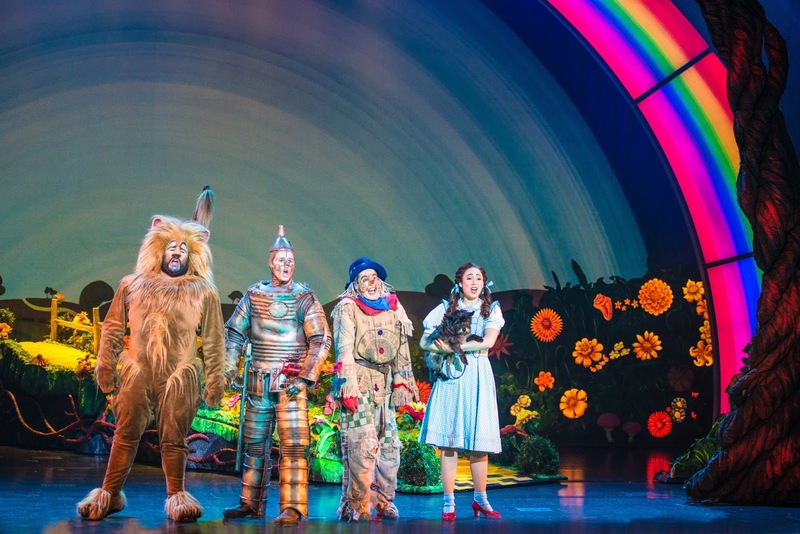 They were all true to what you would expect them to be - the Scarecrow was silly and clumsy, the Lion was funny and cowardly, and the Wizard was grand yet feeble. The set was wonderful and the singing was incredible. 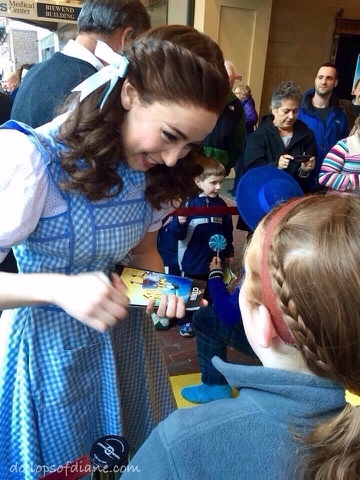 The show definitely entertained audiences of all ages. *I received complimentary tickets to the show. As always, all opinions are my own.